I learned the art of picture framing years ago and keep all the equipment and a stock of quality acid-free mat boards on hand. 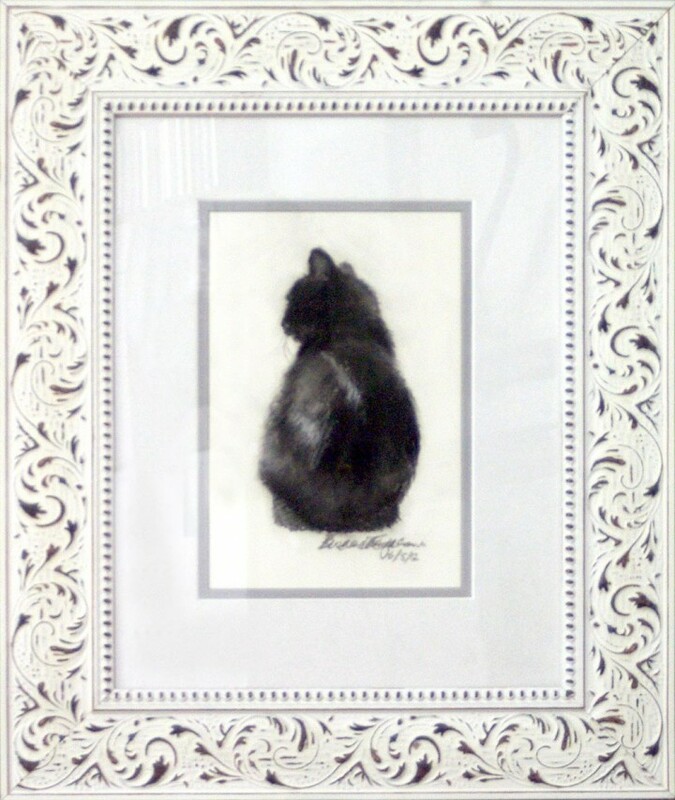 In addition, I purchase custom molding from a local supplier, pre-made frames at various stores and even at yard sales, often adding my own finishing touches. I frame most of my own artwork aside from the very largest originals. I can also mat and frame any art or print you choose with a mat and frame of my choosing, or a custom frame of your choosing. I have many listed showing a print in a matte black frame with a plain white mat, like “The Huntress: Intent”, above. I buy cases of acid-free white matboard, and this 1.25″ matte black wood moulding is high quality and economical, a great combination to offer. While I offer most images in various standard frame sizes to make framing easier for my customers, I don’t always create the art that size, and some works don’t fit well at all into standard sizes. This way I can offer a framing service that, even with shipping, can often save you on the cost of framing. 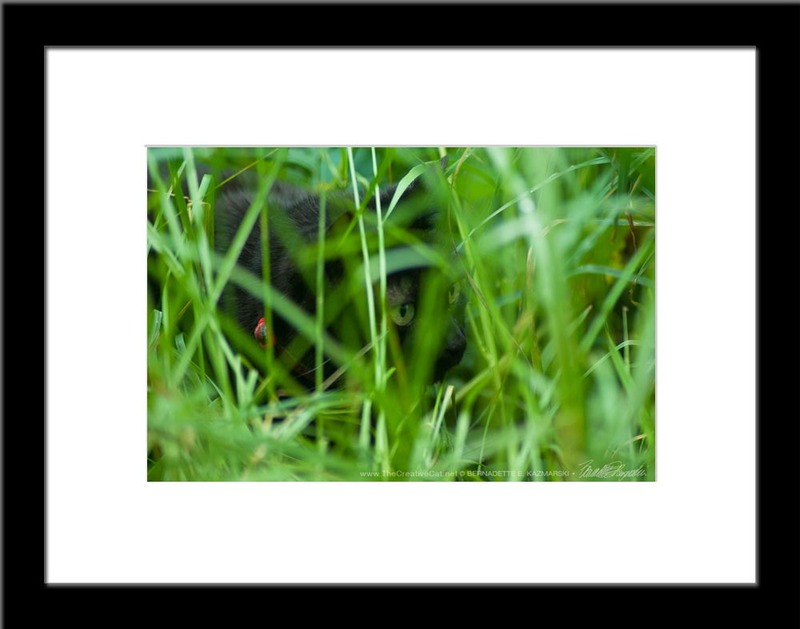 I also offer custom framing of any image in my gallery, see below. All shipping costs are included in the cost of the art and framing. “Follow” the Portraits of Animals blog “Notes and Stories”. Sign up to receive posts in email, or in your favorite reader.